Trolling the lake for the prize-winning bass, driving cross country for the annual RV rally, or hauling gear for a weekend of camping or sailing…whatever your passion nothing brings you closer to the great outdoors than enjoying it from your favorite boat or RV. To ensure a day of fun in the sun, reliable batteries are the heart to powering your boating or RV activities. 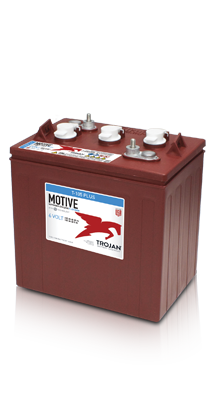 Trojan’s flooded line of 12-volt deep-cycle starting batteries featuring T2 Technology are engineered for sustained capacity and total overall ampere-hours, resulting in more operating power to explore the great outdoors. Providing rugged durability, outstanding performance and long life, Trojan’s deep-cycle 12-volt starting batteries are ideal a variety of marine and RV applications.